Thanks to my love of the water, scuba diving with sharks has always been on the top of my bucket list. Call me crazy, but I've always wanted to know what the adrenaline rush feels like when you come face to face with the king of the ocean. Recently, I was lucky enough to have the opportunity to find out, without having to jump on a plane or even leave Toronto. Earlier this summer, I participated in the new Discovery Dive program at Ripley's Aquarium of Canada in Toronto, Ontario. Led by experienced Education and Husbandry/Animal Care staff, this two-hour experience begins with a behind the scenes tour of the Aquarium. If you've ever wondered how an Aquarium maintains the tanks, where the food is prepped and even how they move large animals to and fro, this behind the scenes tour will answer all of your questions and more. After the tour, you'll don your wetsuit, do a safety briefing and equipment check, and then, it’s dive time! 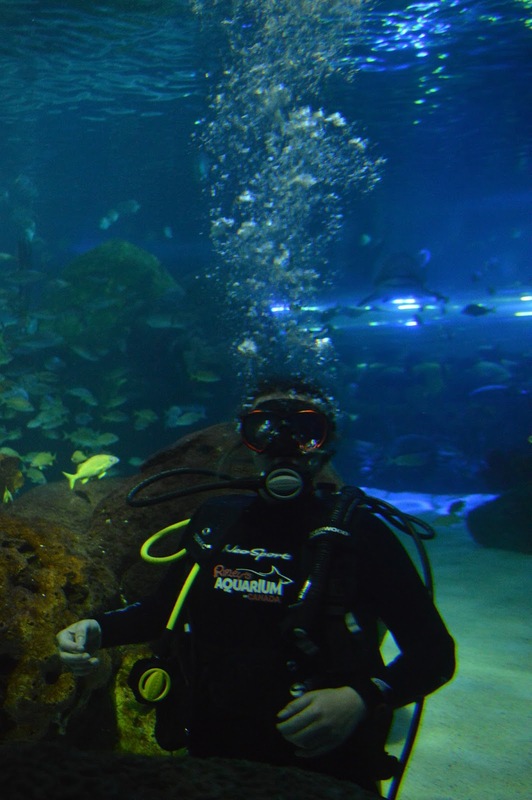 The 30 minute guided dive takes place in the Dangerous Lagoon, a 2.9 million litre tank that gives you the chance to see the Aquarium's green sea turtles, green sawfish, stingrays, moray eels and numerous of species of tropical fish. And you can’t forget about the stars of the show, the sharks. 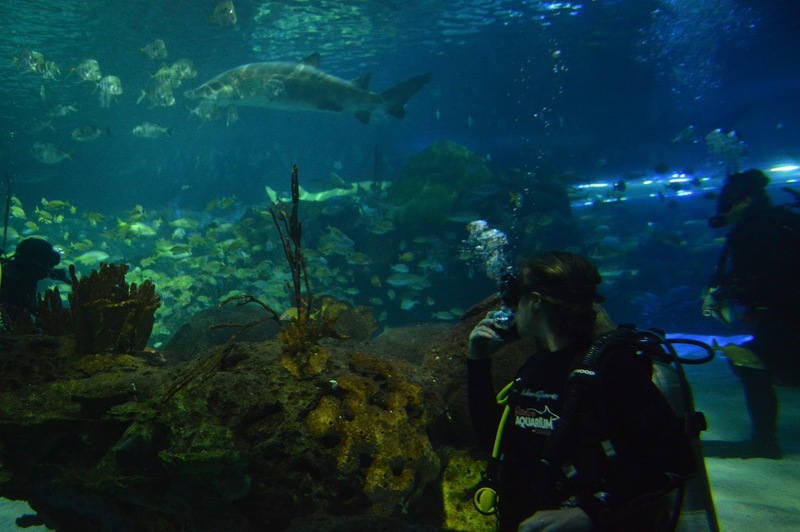 The Dangerous Lagoon is home to 17 sharks, representing three species - sand tiger, sand bar and nurse. Some even measure up to 13 feet long! Talk about feeling like a small fish. Now I know what you’re thinking, sharks are scary! But, no need to worry about the sharks on this dive (or even in the wild for that matter), they’re just looking to go about their own business. The trained Divers that are guiding you through the water work with these animals every day. They know exactly what behaviours to look for, how to tell the sharks to move along and are very good at communicating with the guests about when to stop, when to keep your eyes open and most importantly, when to relax and enjoy the scenery. 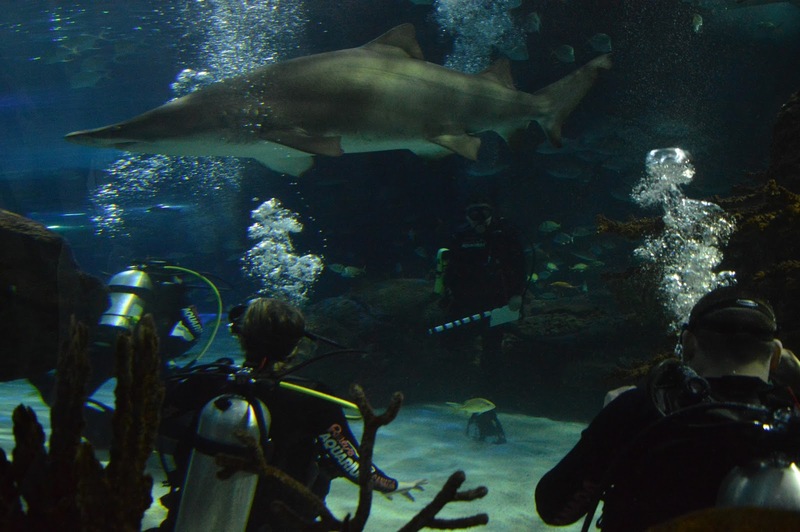 Well, even though the experience took place in a contained environment, and not in the middle of the ocean like I’ve always dreamed, the opportunity to dive with the sharks at Toronto's newest attraction was just as exhilarating. To be honest, I didn’t find it scary at all. Being under the water, surrounded by fish, is such a calming experience. And despite the busy summer crowds staring at me from the other side of the tank, this underwater adventure was something I will be talking about for a long time. 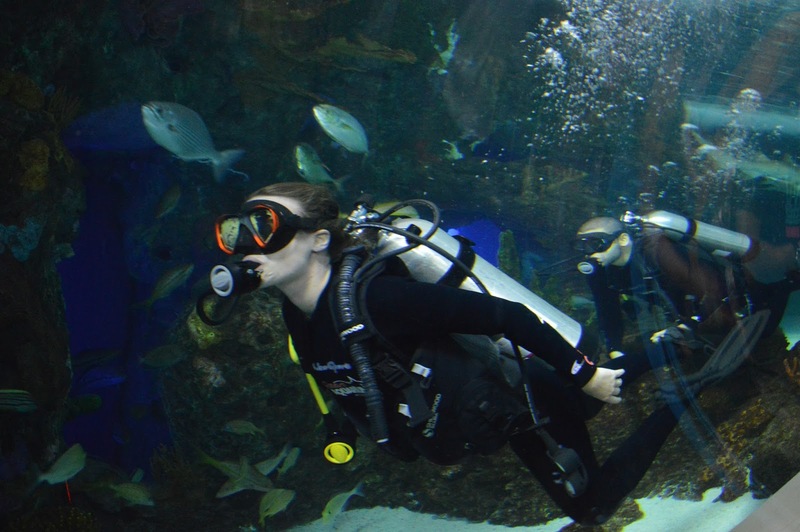 If you are a certified SCUBA diver, over the age of 16, find yourself in Toronto and are looking for an afternoon adrenaline rush, make sure to check out this unique experience at Ripley's Aquarium of Canada. You'll be 'tank'ful you did! *Price includes admission to the Aquarium for the participant, behind the scenes tour, dive experience, souvenir items and USB flash drive with photos from the experience. All gear is supplied, however, guests are welcome to bring their own mask if they wish. And if diving with the sharks isn't for you, or you'd just like to keep your head above water, check out the Stingray Experience - your chance to get up close and personal with the cownose and southern stingrays in another feature tank, Ray Bay. For more information on this experience, including how to book, visit Ripley's Aquarium of Canada's website here. 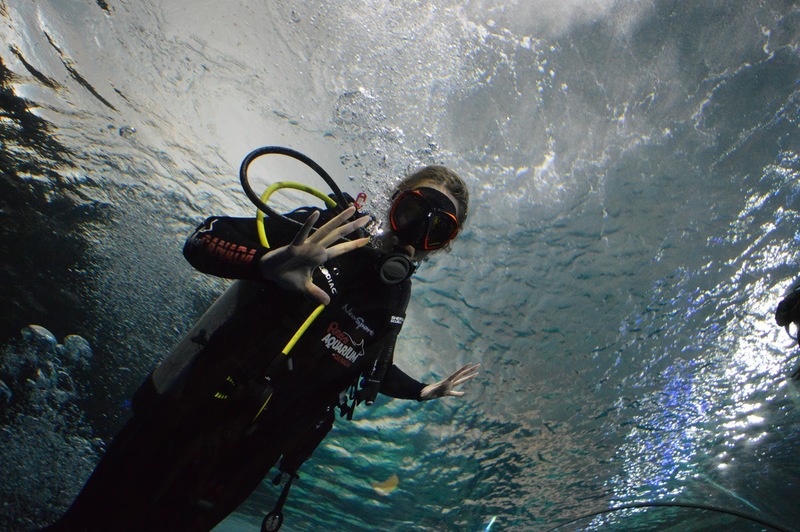 Do you scuba dive? Have you ever dove with sharks? Is this experience something you would do? *I received this experience free of charge, however, all opinions are 100% my own. 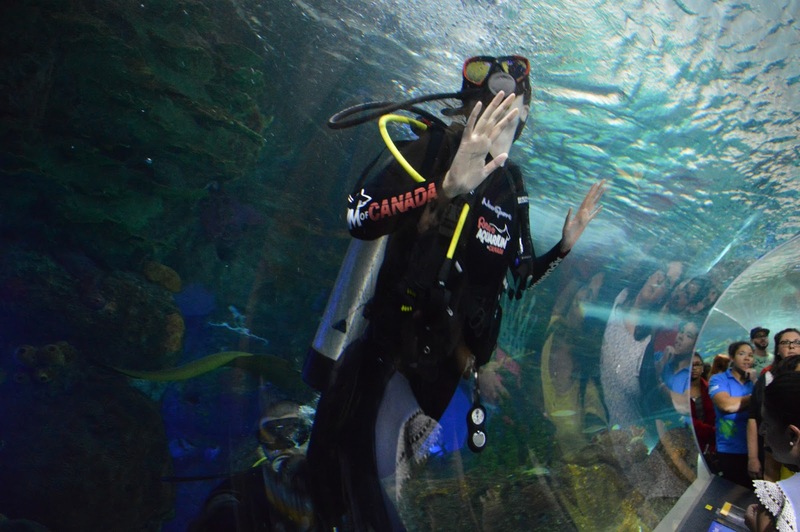 Thanks to Ripley's Aquarium of Canada for the incredible photos and memories!